There were a lot of voices calling for treaty change at the “State of Europe” event last week. This was perhaps not surprising; many see “more Europe” as a solution to the current crisis, and would like to see the treaties opened up to allow deeper integration between member states. What was perhaps somewhat surprising, however, was the number of nominally “Eurosceptic” voices that have been joining that call. Could treaty change be an opportunity for the United Kingdom to renegotiate its relationship with the EU, and repatriate certain powers – particularly over social and employment policy? This is certainly the view of some British Conservative MPs, who have begun researching which policy areas might be up for grabs. 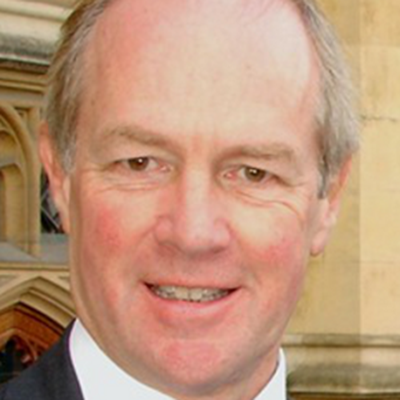 Debating Europe spoke to British Conservative MP Peter Lilley, and asked him if he agreed with George Osborne about the “remorseless logic” of monetary union. Does Europe have a choice? Or must the EU, as Debating Europe reader Protesilaos argues, move along the path towards full fiscal union? No, it does have a choice. It can’t stay where it is, that’s true; there has never been a single currency without powers to tax, spend, regulate, etc. The euro hasn’t got those powers, that’s why it’s in trouble. But it has a choice: it either has to go down the route of the closer fiscal integration needed to manage a currency, or it has to face up to reality and effectively probably shrink to a narrower zone – shrinking down to a more managable core. There is a case for a single currency covering some of the countries of Northern Europe. Would repatriation of powers be enough, though? There are those calling for a full UK exit of the EU. Would a limited repatriation of powers be enough to satisfy them? It would put the people who want to leave the European Union entirely on the back foot, it would weaken their position if there was a process to get back powers that don’t need to be at the EU level. The principle of localism, the principle of our coalition, is in line with the repatriation of powers from Brussels. Once that principle was conceded – even if some people then said we should go the whole hog and pull out of the EU – it would kill, not dead, but certainly fatally weaken their case. 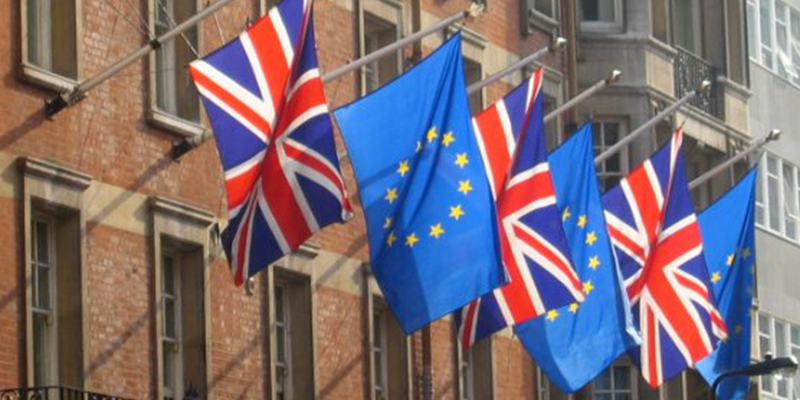 What do YOU think about the UK renegotiating powers away from the EU? Is it fair for the UK to receive special treatment in this way? Or should other countries start renegotiating powers as well? 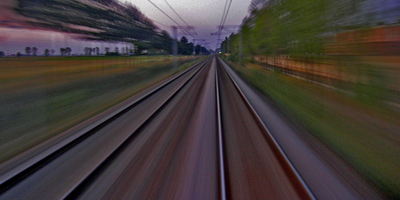 Would a two-speed Europe be the solution? As reader David Fuzzey argued earlier on Debating Europe, perhaps “no country or people should be required to go any further than they wish”. What do YOU think? Let us know in the form below and we’ll take your comments and ideas to policy-makers and experts for their reaction. I agree with Vitor, you are either in the EU or you are not. What the EU should be doing is taking notice of issues such as ‘ EUROPE: TIME TO BRING REAL POLITICIANS & REAL POLITICS…AGAIN! Today Cameron will be forced to deal with EU referendum in the Commons. Since Conservatives agreed to an EU referendum, they’ll have problems to oppose the debate in the Commons. Should even 20% of Conservatives in Commons vote for the resolution, Cameron and his cabinet will be under siege. It seems +50% of the British would choose to get out of EU membership. UK is a very serious political constraint to EU Project and ever closer union. I think it’d be net gain for EU if UK chose to get out. Opt out clauses metted out to UK have not only undermined community objective, but UK has worked very closely with Sweden and Denmark to undermine greater fiscal authority of EU. This will end when UK gets out of EU. EU will never become a *free trade area*, as desired by UK; ultimately UK will lose its access to Single Market in terms of tariif and trade preferences. The Commons debate was postponed because Cameron was visiting Australia with the Queen. The debate will now take place before end of month. Well, if it does, then the EU will lose ITS access to our market. Given that we have a trade deficit with the rest of the EU, THEY would be the ones to lose. No, in financial terms, it would be a net loss of around £10bn a year in net contributions, plus loss of access to our fishing grounds, as well as the largest military power in Europe. Whatever levers Eurofederalists think they have over the UK, the UK has its own to counter them. UK Commons debate is still going on right now, after Cameron tried and failed to persuade his back benchers to desist from the motion. The SFA – the full blooded eurosceptic (former) leader of Conservatives – is now defending single market because it is their bread and butter issue. The referendum motion will most likely pass this evening, and it’d be implemented not in next 18mths, may be. The Commons motion to take UK out of EU membership was defeated by a large majority principally because Labour and Liberal Parties supported Cameron’s argument against the referendum. Even then close to 90 Conservative back benchers and some Lab debated for more than five hours and Cameron is surely now put on notice on whatever future political action his party members may undertake to get UK out of EU. Perhaps it is time for some members to leave..Even if it will create a mess..If Britain leaves, perhaps other states will decide to do so as well..The rest of us will probably move into a closer union, and if our leaders allow it and do what must be done, it will be very successful and with no constant opt outs and vetos it will progress..Then it will be perhaps that many of the states that left, will be returning back to the union, once China, India, Brazil and Russia become heavy weights on the global scene.When will that be..?? By 2020 or 2030…?? Time will tell…..
Just listen to the people on the shop floor. Secure a job and allow for ends to meet. Sorry, at the moment the politicians are still in auto pilot. The European storm needs leader’s decisions and not ideological power plays. We don’t need more referenda or treaties. Start with making the ones we have work for the citizens with full social governance and a free internal market. The electorate could turn unexpectedly. My plea would be to show leadership courage, take up responsibility and make smart decisions. Europe has been given the tools and the parliament the platform to implement. Don’t waste more time inventing excuses for the decision to address the public needs. Give the means for SME’s to develop NOW, free up money to invest in education and listen to the unemployed youth. They don’t want national boarders, rather a borderless opportunity for a job, a future. With the internet the concept of boarders has been diluted. So, we have to avoid a “European winter” following an “Arab spring”. With politics delaying decisions now would be a sign of doubt in our own ability and betrayal to the European project, for which the EU population had already given the mandate, patience and still has confidence. What are we actually waiting for? I support membership of the EU but i want a lot of powers back from brussels and for europe to stay out of our business in many areas. If you force the British people to a position where they either have to sign up to the full agenda of the European federalists or leave the EU all together then there would be no doubt.. wed choose to leave the EU and id certainly vote for that. And if the UK did leave, that is billions in funds lost for Europe and it will also start a chain reaction, with other nations in Europe seeing they can go down a different path than being completely dominated by France and Germany. A repatriation of powers is the best way to go. Let the UK maintain its veto power over all constitutional changes, let the UK pay an annual fee to the EU for “membership”, but do not subject us to terrible policies such as the CAP, CFP, Schengen, Euro and all the red tape which harms business. Also we want reform to or withdrawal from the European conventions on human rights which are doing a lot of harm. This POM obviously like to have it both ways. The UK as mighty power where the sun never sets and dictate as in the old Empire, and be a member of the economic EU powerhouse where the EU productive workers are in Germany and the North of France. The Nations they still envy. Please cut the old England out the EU and let them choke in their stuffy old Trade Union mentellaty. MandyandPj Leneghan – the euro was and still is a terrible idea.. You can not bring together radically different economies and bind them into a single currency. Greece is seriously suffering today because it is part of the Euro and is not able to see its currency devalued. I fully support the principle of European cooperation, in a world with nations like china and india, it is obvious that Europe acting as one in some things is a good idea because we have strength in unity. But the EU acts more like a dictatorship at times, ignoring the will of the people as expressed through referendums and seeking more and more powers from the sovereign states without properly consulting their people. The single market is a good idea, but we do not need a European parliament for that. European Council – in which all member states governments sit, and all areas should require unanimity. We are talking about 27 sovereign nations, its wrong for some countries to have something they vote against imposed on them. European Commission – which ONLY acts as the civil service of the EU, implementing the will of the Council. NOT challenging it and making up its own policies. European court of Justice – which polices the single market with policies and limited regulations laid down by the European Council. That is all we need. A council, a commission that carries out the will of the council and a court that ensures the councils will is being implemented in terms of the single market. We can, but UE administration should have more influence to internal economy. We aren’t sure that only currency is a reason of Greek depression. well, i’ve said this, outside the transatlantic alliance UK is an island country .. Guardian newspaper (yesterday) printed what Liberal Party leader wrote in his party response to Rferendum Motion by Conservative back benchers in the Commons on 24th Oct. I think, as usual, the German word *insulaner* is manifesting itself in the domestic political debate, in UK, press and media generally. However, the public is not really impressed by Cameron’s defense of Single Market access (49% of UK exports are inside EU). Majority want UL out of EU membership, from what one can discern from the dynamics of the debate – it’s getting very hot winter for Cameron’s primiership. It doesn’t help that his Foreign Minister declared the EZ is house built without windows (I suppose Hague was trying to put fire on EZ!). Of course ! Nobody wants United states of Europe ! All steps are that direction, no matter what it costs, no matter what the European population feels. I can’t see what it has done for us, in fact everything seems a lot worse than it was I can’t find a job in construction anywhere, and even east europeans I have spoken to said they were more secure under the soviet system, I voted labour all my life but felt totally beytrayed by blair (who I honestly feel should be tried for treason) and what can you say about brown, totally out of his depth, so this time i voted tory but to be fair they had to get into bed with the lib dems which is going to hinder any straight thinking man, so do i go tory again in the hope that if they do get the chance to go it alone or do i vote ukip! Two problems with the repatriation of powers. One, when treaties are revised by EU institutions (including the Council of Ministers representing national leaders) they are bound by the goals of the EU – ever closer and political union. This is not an opinion, it is EU case law (Cases 11/00, 15/00). Binding EU case law also talks of a permanent limitation of national sovereignty (Case 6/64), and this is generally reflected in the ‘acquis communautaire’ – or occupied field approach that stops member states acting where the EU has powers. Any hope of ‘repatriating powers’ depends on the EU ‘decreasing its competences’ in Article 48. Only problem is that the woolly concept of ‘competence’ isn’t exactly the same as ‘power’, and the EU reserves the right to limit the exercise of national ‘competence’ and even legislate in areas covered my it. Either way, there is no water-tight way to get powers back, and anything involving ‘competence’ is dependent on the interpretation of the European Court of Justice, which has solidly promoted further intergration in its rulings. This debate is getting too long! Tory leader is trying to mislead UK public opinion. Labour will inevitably defeat Tory Party and Cameron when elections are announced. But it’s not yet clear which way Ed Miliband/Labour is going to move – inspite of his elder brother’s influence to stay inside EU. Will that be a good and positive development – now when ECB is moving aggressively to implement Banking Union, by 2014, under Council Decisions (13-14 Dec 2012)? I understand both Sweden and Denmark will join the Banking Union – from outside EZ – leaving UK standing alone. Namely, Banking Union; Fiscal Union; Economic Union; and Political Union. 2013 German elections are going to hold up a lot of step-by-step policy implementation process in order to acquiesce to Merkel/CDU procastination…. In the final analysis, UK will have no grounds to stand on once EU laws are on the books (accuis communitaire) – in case of UK dispute or wish to opt out – Commission would appeal to ECJ. Any decision of ECJ – on opt out, etc; – is more or less expected in favour of accuis communitaire. UK cannot economically survive outside Single Market – which is the bread and butter of its current EU membership. Unfortunately it is sad to see that tory and uk is being pulled by the nose from the same “tea” party cousins as in the US. Many british people constantly neglect the fact that Island politics and imperial grandour aspirations are not realistic anymore. It seems to me that a majority of EU nations wants to be bund together, and we as EU citizens should promote an ever closer union on the grounds that we can have a mechanism to control two governments by making them compete with each other, that can only benefit us. Brits can say all day long that brussels is killing them, that other EU citizens are taking jobs away and so on and so on… It’s seems that those who cheerish globalisation and it’s benefits constantly underestimate it’s costs and sacrifices. But unfortunately when the divorce happens and brits will find out that they’re not only the only ones who can lend money but also that they’ll be cut off from a very lucrative market as they’ll be at a disadvantage with their counterparts in the EU. Nevertheless I don’t see how the UK is more comptetive then greece having control over it’s currency all you see is rampant inflation to pay out the massive debt, which ultimately is translated in making life unbereable for all those who merely meet ends, the pound historically costs more than the euro, meaning you can’t manufacture anything here as it would cost an eye more than the same product from Germany, on top of that the GoUK wants that their businesses also in the future be cut out from that market, in my opinion UK is sleepwalking itself definetely out of europe, demanding constant concesions. I might sound a labour voter, i’m not. I’m not even allowed to work here, even though i studied as hard as every other student, and i payed twice the amount of money to get the same education. That my dear brits is called protectionism and fear, as it is a shame that a nation that I so much admire and cheerish can not step up and show the world that they can still fight, instead they try to bargain themselves out of any fight. I voted for a Common Market under Edward Heath and nothing more, I did not vote to let outsiders; foreigners tell me how or what to do; you politician sold my nation down the river to Brussels. Britain give Brussels; we are told £55,000,000 “A DAY” can you believe it, money that should be spent on us the British. we earnt it we want is used for us. Winston Churchill would never have let anyone run out nation, yet you peple do, cowering and pleading; wake up; we are just a rock off the West coast of Europe on our knees with out beggin bowl out hoping for crumbs; That is not me; an Englishman and a Briton, that is not what British people are made of or were. R=negotiate; NO. There is absolutely no reason to do this, we want to trade with Europe but no control whasover by them; whey should we; the very fact they exist was due to my nation and its Commonwealth and friends only a few years ago in man’s history. Ruled by Foreigners NEVER. We the British should not be asking for concessions; we should be telling them how it is, we want out, we will trade with you and if you throw your teddy out of the pram and become spiteful, no matter, the world awaits Britain as a trading partner where we can freely deal and negotiate with anyone we desire and without any restriction by Brussels; the ship that is sinking fast; frankly I am surprised it has not sunk yet with hands on board. NO RE=NEGOTIATION, TRADE WITH THEM, NO CONTROL “AT ALL” by them. Shouldn’t we simply stop United Europe? When there are problems, it is easier to conplain and show in “Brussels direction” and when good things are done it is always Britain or France or Germany the “good boy” . Every contry always trie to take profit of Europe and when problems appears … “Bad Brussel” . Funny game!! but danger game!